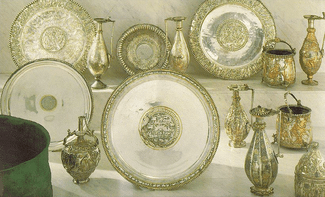 Through his lawyer, Peter Mimpriss of Allen and Overy, Wilson was able to interest the Marquess of Northampton in the silver as a proposition for investment, and by 1987, the Marquess of Northampton 1987 Settlement Trust was the sole owner of what by then was a collection of 14 pieces of impressive Roman silverware. The plan for Sotheby’s to sell the silver by auction in Switzerland in 1990 was halted by the seizure of the treasure on a publicity tour to New York, when Lebanon, and then Hungary and Croatia, laid claim to it in the New York State Supreme Court. The court did not find in favour of either Hungary or Croatia, Lebanon having withdrawn its claim, and the treasure was returned to London to the custody of the Marquess of Northampton. It is important to note that the judge did not rule that the marquess was the legal owner, simply that neither Hungary nor Croatia had demonstrated good title. Not surprisingly, the Marquess of Northampton was disappointed by the sale fiasco of his investment, and (with a new lawyer) sued Mimpriss and Allen and Overy, winning a settlement—reportedly of £24m—in 2000. In November 2006, the 14 pieces of silver (and the copper container in which they were found) were placed on display at Bonhams auction house for an invited audience. 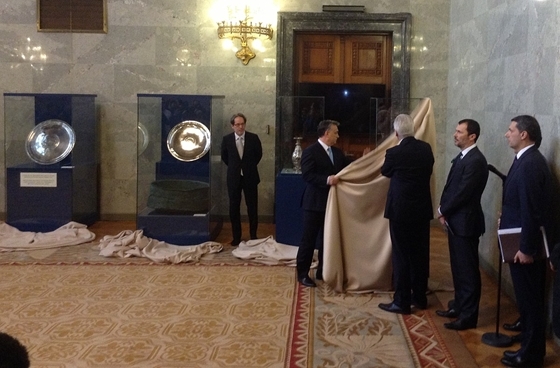 Then the scene went quiet, until the announcement in late March by Victor Orbán, Hungary’s prime minister, that seven pieces of the treasure had been successfully repatriated (at a cost of €15m) and put on public display. The vendors, who are €15m better off, did not include the Marquess of Northampton; the silver was instead sold by a trust. Its beneficiaries are the two sons of the late Peter Wilson, who made the initial, ill-fated purchase in 1980. 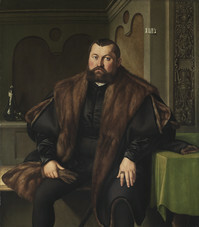 Ludovic de Walden, the current lawyer of the marquess, indicated last week that the marquess is still the owner of the remaining seven pieces. Colin Renfrew, Shame still hangs over the Sevso hoard The Art Newspaper (2014), http://www.theartnewspaper.com/articles/Shame-still-hangs-over-the-Sevso-hoard/32545 (last visited Apr 29, 2014). Hungary’s central bank said in January that it plans to spend 100 million euros ($136.8 million) by the end of 2018 on buying Hungarian works of art that have ended up in foreign hands during the country’s eventful history. Visual art as well as literature plays a core role to define Hungarian identity. The cultivation of a sense of national togetherness is among the main goals of the current government, in which central bank Governor György Matolcsy, a close ally of the prime minister, served as economy minister between 2010 and March 2013. “Hungarians have survived throughout the ages because they have been feeding on the 1,000-year-old cultural heritage of the Hungarian Kingdom, the statehood, only morsels of which have survived,” said Mária Prokopp, a professor of Medieval and Renaissance Art at the Eötvös Lóránd University in Budapest. The goal of the central bank’s art program “is to repatriate the highest possible number of major works of art” to protect and treasure the nation’s cultural legacy, the National Bank of Hungary said. It didn’t say how it intended to finance the program that roughly equals three times its operating expenses in 2012. Margit Feher, Hungary Central Bank to Buy Art, Emerging Europe Real Time (2014). 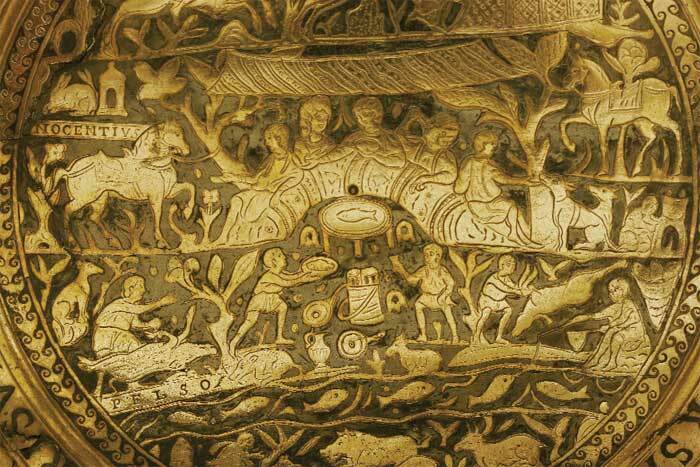 I’ve been alerted by Alex Herman of the Institute of Art & Law that the Sevso Treasure looks finally to be going back to Hungary after over 25 years of negotiations and suits. The Hungarian Prime Minister Viktor Orbán announced today that Hungary had “reacquired” seven pieces of the Sevso Treasure for €15 million. The objects will be put on public display in Budapest from March 29th. This remarkable collection of Roman-era silver was perhaps discovered near Lake Balaton on the outskirts of a town named Polgárdi. 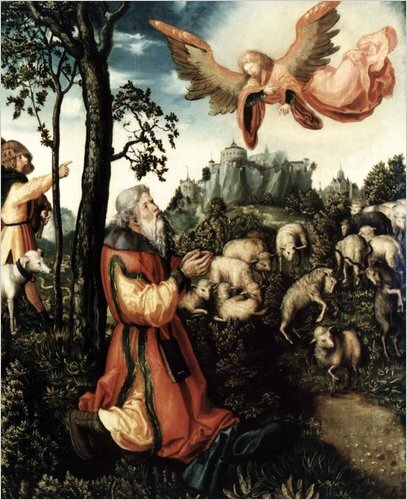 The collection made it to the art markets in 1980 and the Marquess of Northampton purchased 14 of the pieces. These objects have gone on display irregularly, in efforts to gauge their marketability. In 1983 a portion of the objects was offered for sale to the Getty, but because of the concerns of Arthur Houghton over the export permits offered with the objects, the sale fell through. One of the difficulties with using the courts to resolve the dispute over this Silver has been the fact that their origin remains uncertain. Though perhaps Roman in origin, Lebanon, Croatia, and Hungary have all made claims. There was a lengthy series of legal proceedings some years ago—after a 7 week trial in 1993 in the New York Supreme Court (the court of general jurisdiction in New York) a jury found that neither Croatia nor Hungary had established a valid claim over the treasure, and the Marquess of Northampton retained ownership. These objects are what can be classified as “Orphan objects” in that they have been so removed from their context that their findspot and origins are difficult to determine. One thing the look out for as more details of this reacquisition emerge will the answer to the question of why Hungary only purchased 7 of the objects. Will Croatia buy the remainder? Will Lord Northampton have Hungary’s blessing that legal claims will not be brought against the other objects should they go up for sale? Will Hungary move to acquire the other objects? Republic of Croatia et al. v. Tr. of the Marquess of Northampton 1987 settlement, 203 A.D. 2d 167 (N.Y. App. Div. 1994). Anne Laure Bandle, Raphael Contel, Marc-André Renold, “Case Sevso Treasure – Republic of Lebanon et al. v. Marquess of Northampton,” Art-Law Centre – University of Geneva.